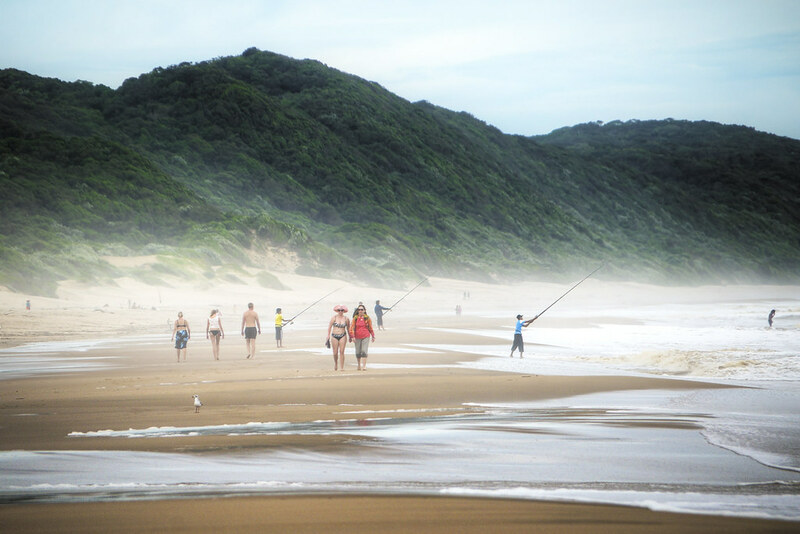 On the shores of the Indian Ocean, muddy with silt washed down by seasonal thunderstorms, locals fish and tourists stroll. The mist and fog and spray make the scene extra-mysterious, but my favorite part was the enormous, shrub-encrusted sand dunes. Think of it as “Arrakis after the God Emperor,” to borrow from the imagery of Frank Herbert. Today is Friday and I couldn’t resist posting another shot—a total contrast (pardon the pun) from the last shot. I wanted something else to take me away from the rainy-day New York. 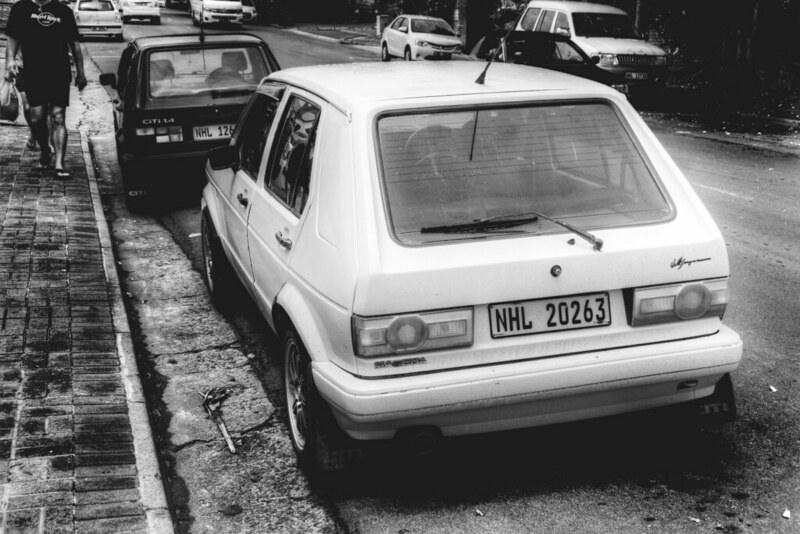 Back in St. Lucia, South Africa, Volkswagens are ubiquitous. Though the look like relics of the 1980s, many of them are models still being produced today. It’s a different world, where the perfectly lightweight hot hatch heyday never ended. 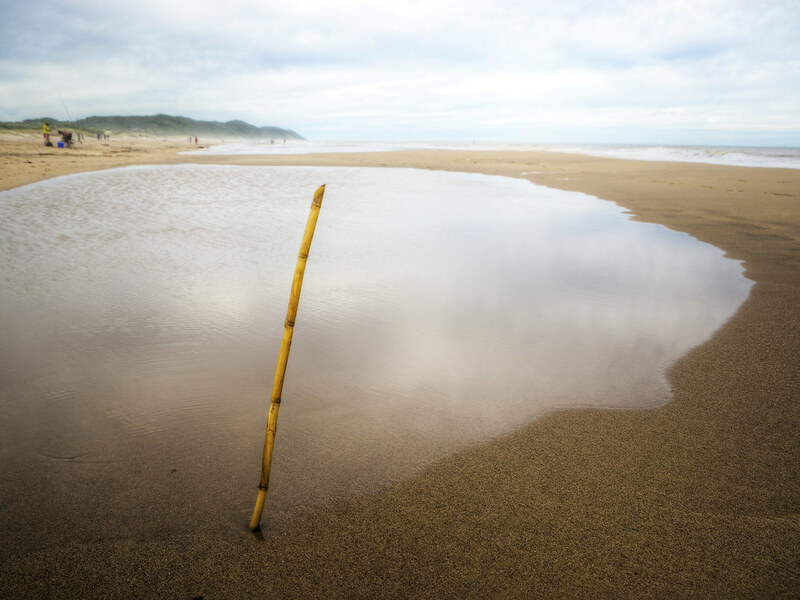 Another in my very long line of photographs of small structures on beaches: this lone stick, keeping watch over a pool by the edge of the Indian Ocean. A massive storm the night before had filled the ocean with silt and covered the shore with enormous puddles—earth and sea had been mixed in a way that neither particularly seemed to appreciate (not to overly anthropomorphize or anything). As you might expect for a charming town on the Indian Ocean, St. Lucia is heavily carpeted with folks ready to sell anything and everything (to tourists, of course.) The waves were crashing just beyond this dune—I could already smell and hear them—but on this little rise, under the shade of the coniferous trees, beach towels and toys were for sale. 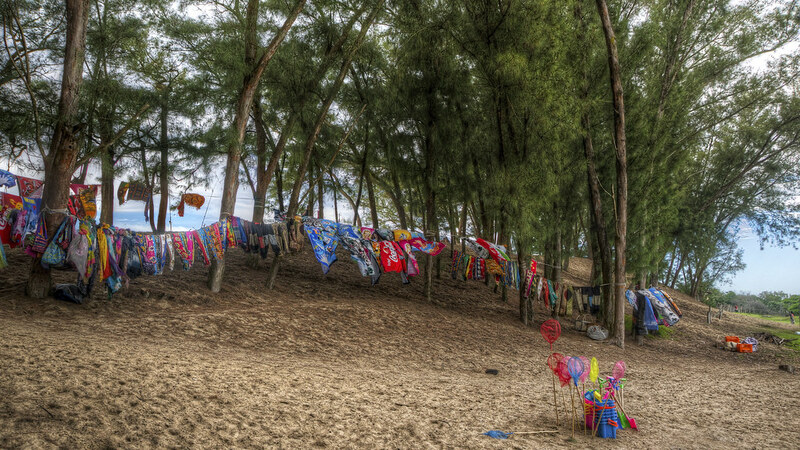 The brightly colored array, flapping in the breeze in a strangely orderly way, brought to my mind nothing more than some strange local variation on a Shinto shrine. 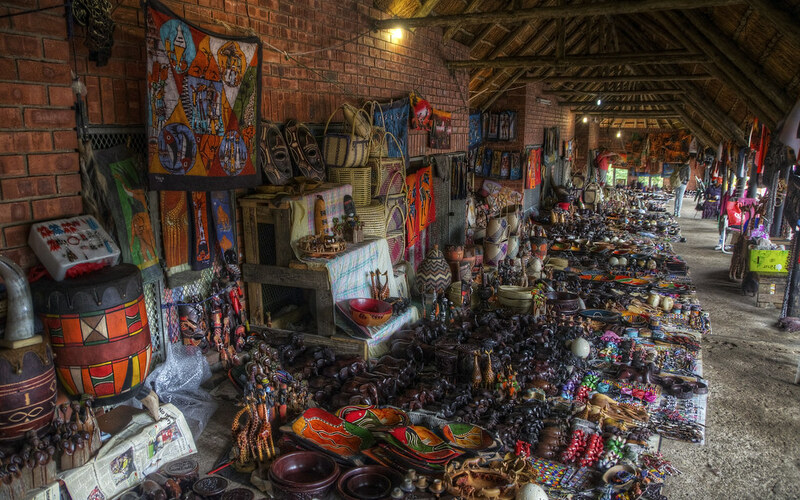 In the seaside town of St. Lucia, by the shores of the Indian Ocean, markets were filled with souvenirs for tourists from around the globe. The carving and painting and construction that went into this array was astonishing—I can’t imagine how many total person-hours are on display here.